A large number of employees who work with – and alongside – fork lift trucks believe the vehicle’s low profile makes them immune from falls, slips and trips. Unfortunately, this is not the case. Every year, falls from stationary and moving fork lift trucks seriously injure – or worse – approximately 40 workers in the UK, including operators and surrounding warehouse staff. A recent three year HSE investigation into the food and drink industry analysed 150 falls from height. The results showed that ladders and fork lift trucks/vehicles were the top two causes, accounting for 40% and 17% of all serious fall injuries respectively. 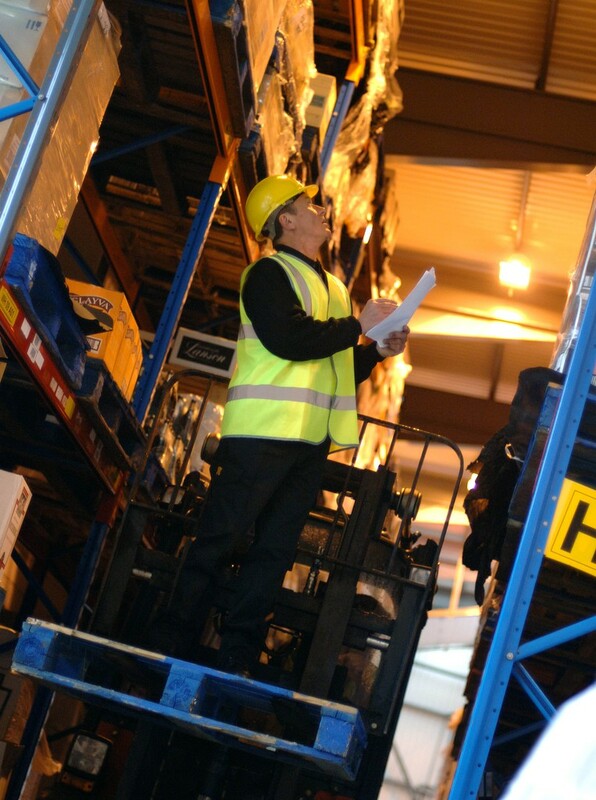 Advice from authorities like the HSE and the FLTA on how to avoid falls and safely mount or dismount from a fork lift truck generally focuses on the so-called ‘three-point hold’ rule. Peter Harvey, FLTA Chief Executive, explains: “When getting on or off a fork lift truck, you should always maintain three points of contact with the machine at all times. This means one hand and two feet, or two hands and one foot. Fork lift trucks are designed primarily for lifting materials, but in special circumstances they may be used with a purpose-built platform – allowing for safe working at heights. Peter Harvey notes: “The law forbids the use of pallets or any improvised device, but under certain circumstances a purpose-built, non-integrated working platform that has been specially designed by a manufacturer of specialist attachments can be legally used. HSE Guidance Note PM 28 (4th edition), Working Platforms (Non-Integrated) On Forklift Trucks offers guidance on selecting, use and design of working platforms and outlines relevant legislation. Readers can also refer to the FLTA’s free Fact Sheets section of the Association’s website in the ‘Best Practice Advice’ section. This is one of the most visited areas of the FLTA website and the recently updated Fact Sheet 18 covers the use of working platforms on fork lift trucks. Importantly, any fork lift truck that may be used with a working platform must undergo a Thorough Examination at least once every six months. In addition, all working platforms must also undergo Thorough Examination at least once every six months. The law requires employers to provide a safe means of escape for operators working with these types of mechanical handling equipment – should it become stuck in a raised position. Every site and application is different, so a risk assessment designed to meet the operation’s needs must be conducted to determine the most appropriate means of safe escape. The FLTA’s Fact Sheet 14 also helps explain the law here and offers important advice and guidance on rope evacuation. More fact sheets are available on the FLTA website entirely free of charge, so if you are ever in doubt visit www.fork-truck.org.uk and navigate to the popular Fact Sheets section in ‘Best Practice Advice’. If you are committed to improving safety it’s worth considering membership of the FLTA Safe User Group. Developed especially for fork truck users, it provides privileged access to the Safer Site Programme, legislation guidelines, advice on regulations, specialist publications, health and safety updates, Technical Bulletins, safety alerts, an independent and confidential telephone helpline, and much more.